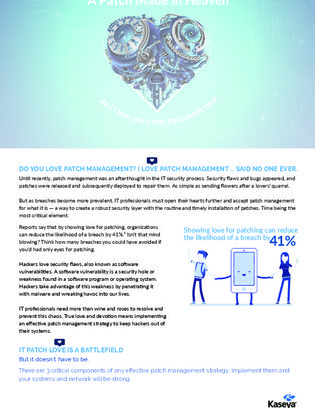 Until recently, patch management was an afterthought in the IT security process. Security flaws and bugs appeared, and patches were released and subsequently deployed to repair them. But as breaches become more prevalent, IT professionals must accept patch management for what it is — a way to create a robust security layer with the routine and timely installation of patches. Time being the most critical element.